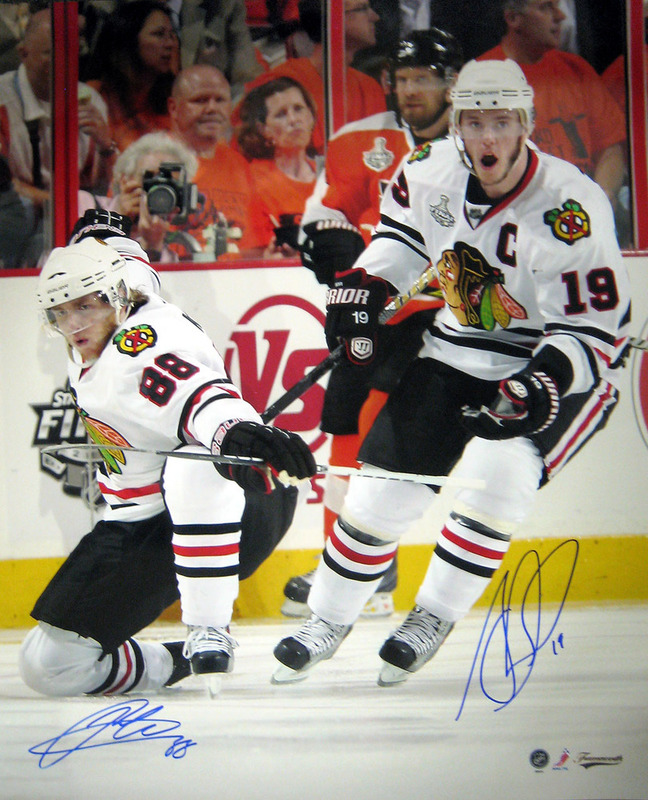 This 16x20" photo has been autographed by both Chicago Blackhawks superstars. Jonathan Toews & Patrick Kane have lead the Blackhawks to 3 championships and continue to be elite players in the NHL. This dual-signed photo comes with a Frameworth hologram and certificate of authenticity to ensure the legitimacy of the signatures.